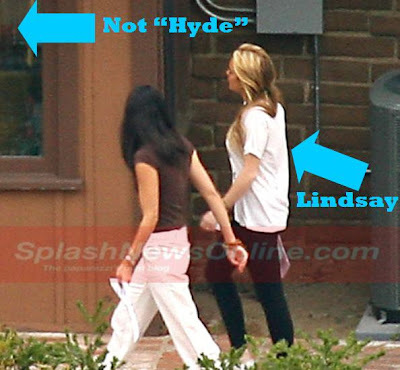 Seriously, the folks over at Splash News Online must have photographers living in the trees around Promise of a New Day Rehab because they snapped Lindsay on her first day of rehab. Awww that’s cute. I hope Dina packed her lunch and by “lunch” I mean thermos filled with coke. Oh and by “coke” I mean cocaine. Wait a minute, maybe this is all a set up. Maybe there’s some secret reality show being filmed right now staring Britney, Lindsay, and Paris. If not, there totally should be.